Of our lubrication product range the greases present a substantial part of the lubrication of textile machinery components and parts. For the chain ball bearings as well as for the circulation fan motors of the textile dryers we recommend our high-temperature grease DURATA HT 56-02. Also in extreme media and under higher temperatures our grease remains fully operational. 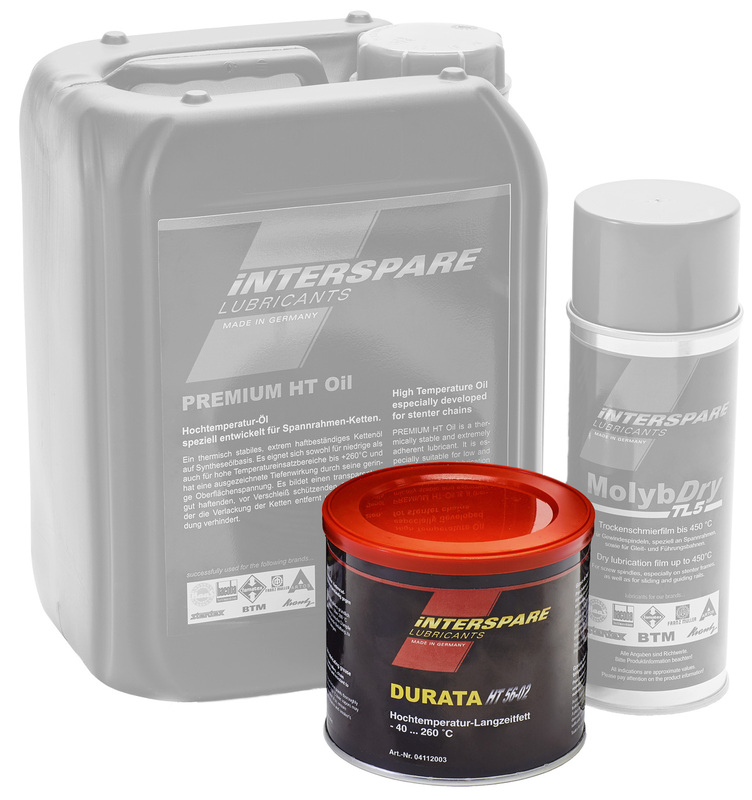 Furthermore for the assembly as well as for the long-time lubrication of other machine parts we offer lubricants of our lubrication product series STRONGANA. Beyond the lubrication greases our product portfolio offers a variety of greases for other application areas like e.g. for the long-time and life-time lubrication. Please do not hesitate to ask for the required grease. On request we are glad to provide you the corresponding technical and safety data sheets.